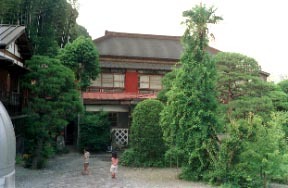 It is an isolated lodging house of a wooden two-story building and a formal building to the back about a mountain. 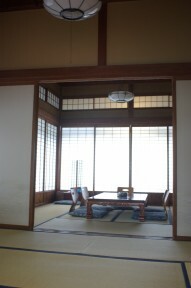 The nature of the locality with many foreigners and 4 suns of Kamoi are highly built by the guest room of the initial building of Showa, and the history mark which starts in a perry arrival. 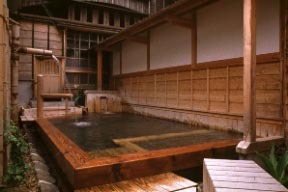 As wooden ladies' bath, the greatest Manyouno-yu in domestic and the hot water of the total tree structure which used the curve in part are the noted hot water which is emotional and hidden by a Sennin-buro. 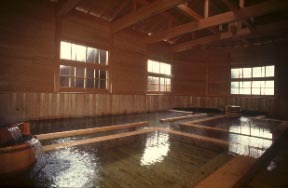 The open bath and cascading water hot springs which were put side by side in each man and woman's hot water occur. 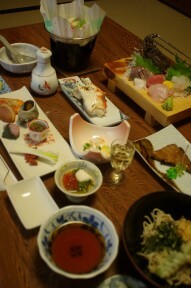 As for foods, complaint nothing and a miso are homemade and a homemade dish using a hot spring centering on fresh marine products.